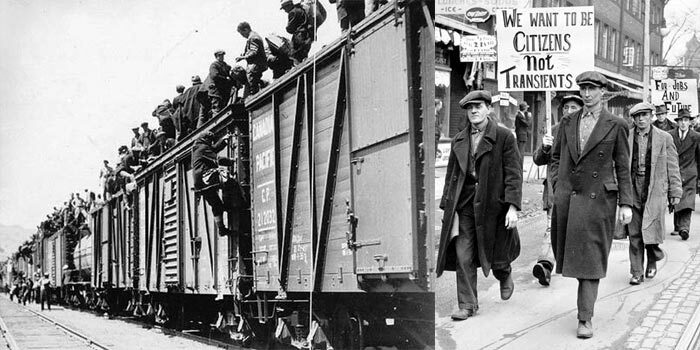 My research examines how high unemployment rates, humiliating relief policy, and the spectre of eviction characterized the experiences of Ontario families, and how collective action and protest redefined the meanings of welfare and citizenship in the 1930s. I’m also inspired by social historians who trace the intricate details of family and community life, and my book looks closely at the material difficulties and survival strategies of families facing poverty and unemployment. There is a wealth of primary materials relating to the depression. My research has drawn on local and national newspapers, Ontario family and juvenile court records, criminal case files, the papers of the Ontario Premier (George Henry and Mitchell Hepburn), government labour records, memoirs, and oral histories to uncover the ways in which the material workings of the family and the discursive category of ‘respectable’ citizenship were invested with gendered obligations and Anglo-British identity. Respectable Citizens: Gender, Family, and Unemployment in Ontario’s Great Depression, 1929-1939. Toronto University of Toronto Press, 2009. “‘’We Who Have Wallowed in the Mud of Flanders’: First World War Veterans, Unemployment, and the Development of Social Welfare in Canada, 1929-1939.” Journal of the Canadian Historical Association New Series, Vol. 11 (2000), 125-149. Reprinted in Interpreting Canada’s Past: After Confederation, ed J.M. Bumstead. Toronto: Oxford University Press, 2004: 337-50, and in Readings in Canadian History: Post Confederation, eds. R. Douglas Smith and Donald B. Smith. Thomson-Nelson, 2006. “A Barren Cupboard at Home: Ontario Families Confront the Premiers During the Great Depression.” In Ontario Since Confederation: A Reader, eds. Edgar Montigny and Lori Chambers. Toronto: University of Toronto Press, 2000, 284-306. “Depression Years” and “Pay Equity.” In Framing Our Past: Canadian Women’s History in the Twentieth Century, eds. Sharon A. Cook, Lorna R. McLean and Kate O’Rourke. Kingston-Montreal: McGill-Queen’s University Press, 2001, 325-6.